Everyone has their own favourite way to take notes in Kali. For me it involves copy-pasting lots of snippets into a CherryTree workbook. I press a global shortcut (Ctrl-Alt-P). This invokes gnome-screenshot with predefined settings and my mouse turns into a cross cursor. I drag out a box. When I release the mouse button the image is placed on the clipboard. I click in CherryTree and Ctrl-V.
Open System Settings from the top right menu. Navigate to Devices then Keyboard. Scroll down and press the + button. 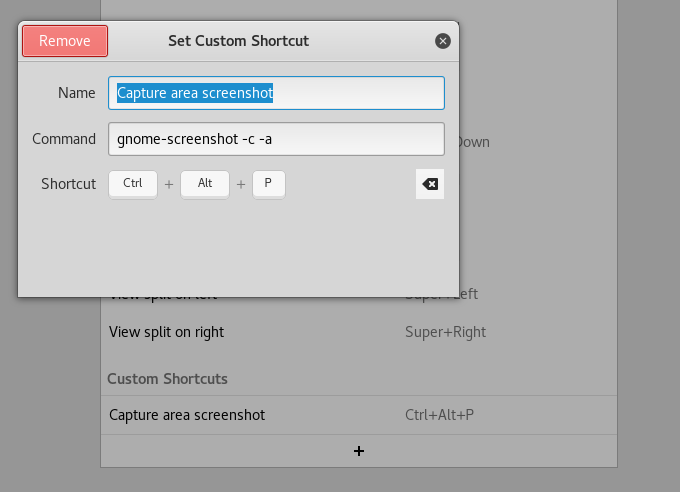 Add a new shortcut that calls gnome-screenshot. Here I’m saying that I want to drag out an area -a and it should copy the result to the clipboard -c.
There are lots of arguments so you can make it do what you want.